The Allure Dress Shop is a unique experience, we offer more than just finding the perfect dress. 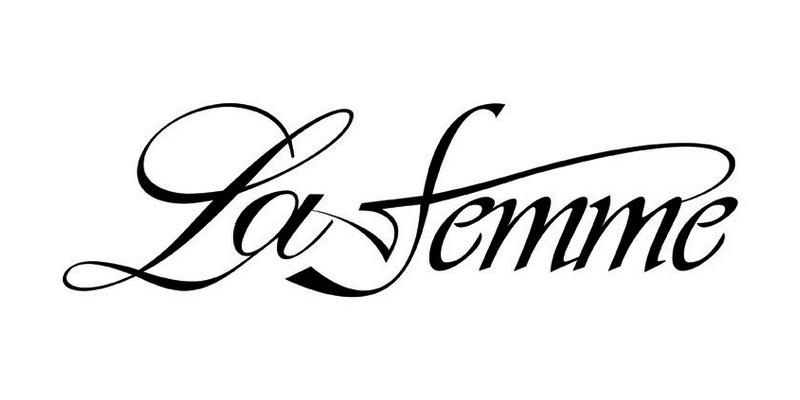 We offer Designer Bridal Gowns, Bridesmaids, Flower Girls, Mothers and the hottest PROM Gowns. The more clues you supply us with the faster we will get you to your goal. 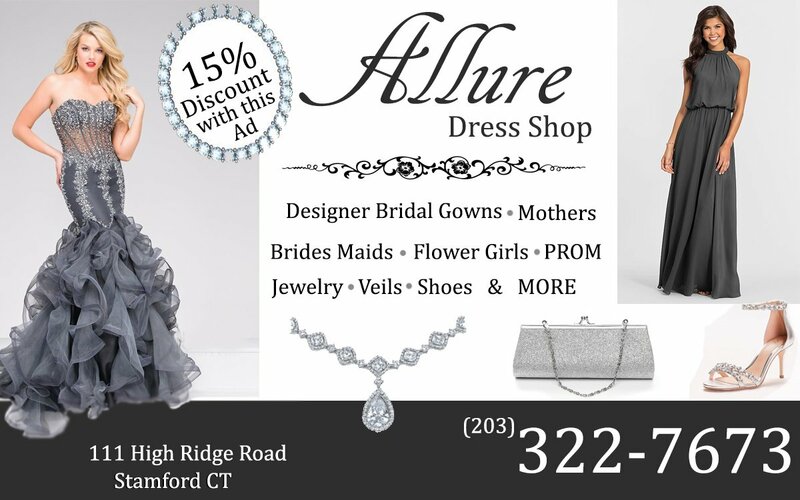 Allure PROM Shop understands that your prom dress needs to be a one-of-a-kind style with that "WOW" Factor. We have selected some of the most unique 2019 prom dresses for you to choose from. Please bring in photos to give us a feel of what visualize yourself wearing to your Prom, think of what style, color and details you want your dress to have. Please keep in mind these garments are some times pricey, so it best to find out what would be your highest price you can go before breaking the bank and being disappointed. before someone else does from your school. Once you have found your prom gown that will rock your phenomenal look, we will register it and no one from your prom can get it! 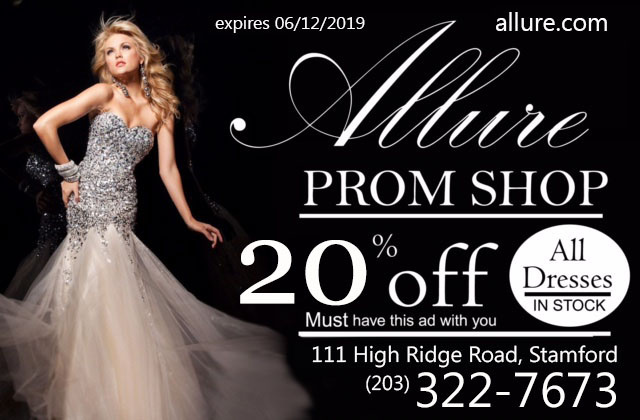 Allure PROM Shop registers every prom dress purchased through our store, we will not sell the same designer, style and color you have purchased from Allure PROM Shop. We also offers a large selection of PROM Shoes and Accessories to highlight your dress. Please send us by email the designer's name, style # & color request to see if we have a sample for you to try on or maybe we can order a sample for you to try on. 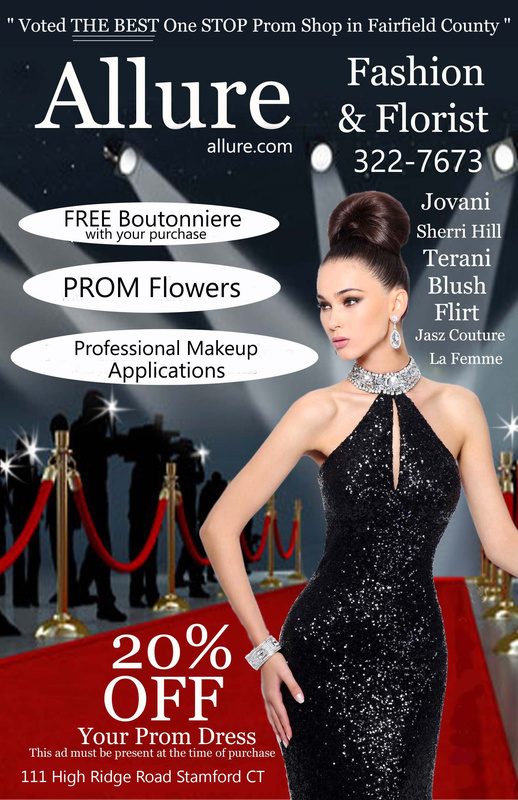 FREE Give aways include: Profesional Prom Makeup Application, Prom Jewelry, Prom Shoes & FREE PROM DRESS !!!! enter NOW!!! Tap on Designer's Name to view their Collect they offer.